Two Significant Beethovens include the Grandfather. Most have read of Beethoven’s father. Mostly, about how he was alcoholic and beat his son on his ears. Before turning to drink, the father was a gifted musician. He sang tenor in chorus and in opera. His name was Johann Beethoven. As a result of the father’s drinking, the family lived in abject poverty. His small salary was wasted at the ale-house. With such unfortunate circumstances his oldest son, Ludwig, became the breadwinner of the home. The Beethoven family were singers at the cathedral at Antwerp. The grandfather was also named, Ludwig. In Germany, the grandfather held many important positions in the musical establishment of the Archbishop-Elector of Cologne. He was at first a solo bass singer in the opera and choir. Later he was appointed stage director. Finally he became the musical conductor at the church. He had moved earlier in the 18th century to Bonn on the Rhine. Holland was the original home the family. At age 11 he was playing viola in the orchestra. At age 12 he was the assistant organist with the orchestra at the church. He made a number of connections at the church. This included a wealthy lady, Frau von Breuning. He taught her son and daughter. He also befriended members of the Vienna aristocracy who were in their university days in Bonn. This included the young Count Waldstein. 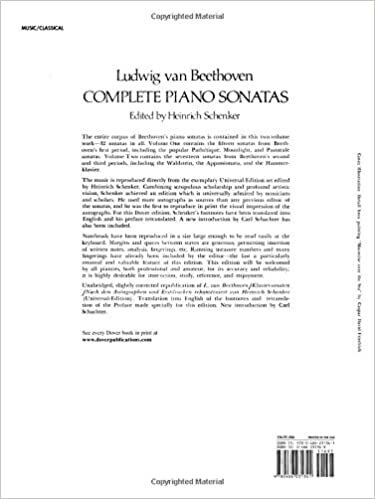 Beethoven dedicated his Waldstein sonata to him. Finding that the young Beethoven lacked a suitable instrument on which to practice, Waldstein had a fine grand piano sent to Beethoven in his attic room (see picture above). He also befriended Count Lichnowsky and many others. They became life long patrons. I trace my own teachers back to Beethoven. Here’s how. I studied with Mischa Kottler. Kottler studied with Emil von Sauer. Sauer studied with Liszt. Liszt studied with Czerny. 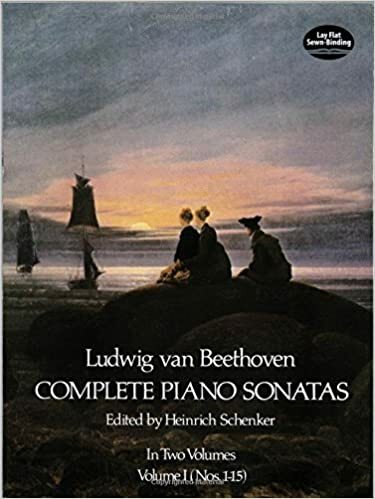 Czerny studied with Beethoven. Many of Beethoven’ s innovations were shown to me by Kottler. These included the principle of the prepared thumb. I have just finished my 8th yearly season as pianist at the Gasparilla Inn on the isle of Boca Grande. Management had the Steinway concert grand in the dining room rebuilt. I now play it in season. It has the finest Steinway parts. They were ordered directly from Germany. I also enjoy composing. Here is a sample of my own music entitled El Nino in Sarasota. Oh yes, I am available for piano lessons in Sarasota. Conclusion: Here is one formula for success for aspiring musicians and composers. It is based on this blog: (1) Get the audience. Be a church or by any other means. (2) Appeal to everyone, even the elite. Young musicians and composers need as much help as possible. I encourage all to be kind to composer/musicians that you believe could have potential. You just might have a great work dedicated to you. New Sound Eureka Like in Back to the Future. That’s Marty McFly playing the electric guitar. It refers to Chuck Berry‘s “Johnny B. Goode”. He brings down the house with it at his parents’ high school prom. There, Marty comes from the future: Johnny B. Goode is still three years away from being released! “Johnny B. Goode” IS the future. It’s the “new sound” that is going to sweep the world. 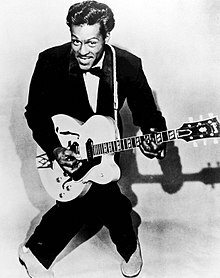 Marvin, Chuck Berry’s fictional cousin at the dance, holds up the phone for his musical relative to hear. Four Psalms open with these words — Psalms 96, 98, and 149 — “sing to the Lord a new song.” As does Isaiah 42:10 (“sing to the Lord a new song”) and Psalm 33:3 (“sing to him a new song”). And Psalm 144:9 adds its voice to the chorus, “I will sing a new song to you, O God.” The hope or promise of a new song or new sound even has Biblical roots! We are living in times where people are looking for a new sound. Here is the parallel to the point the movie makes. The young dancers at the featured picture of the Enchantment Under the Sea loved the music. Yet, the sound was 3 years ahead of its time of publication. Fiction, yes. But, it’s based on fact. The upcoming new sound will place melody in the forefront. This type of sound has historically revived counterpoint. Yes, J.S. Bach style. In the same manner Mendelssohn, a romantic, revived J.S. Bach. Composers from the Romantic era of music revived counterpoint. It added sophistication to melody. A New Musical with the upcoming new sound eureka is About to Travel the Golden Roads. My wife and I are all about beautiful melody. Rhythm, of course, most also be solid. But to us, the melody is the key to the future. Our musical has a Biblical theme. We look forward to singing a new song. Our tour will take us all around the northeast. We always look for any kind of encouragement. Please share! Randomness of the 12 Tone Technique Also Applies to our math. The initial proponent of this technique was Arnold Schoenberg (1874–1951), Austrian-American composer. The technique is a means of ensuring that all 12 notes of the chromatic scale are sounded as often as one another in a piece of music while preventing the emphasis of any one note through the use of tone rows, orderings of the 12 pitch classes. All 12 notes are thus given more or less equal importance, and the music avoids being in a key. Our modern use of numbers parallels the 12 tone technique. The 12 tone technique is best described as willful randomness. Antiquity thought of numbers one to nine as belonging to a system. It was called the 3 x 3 number square. In our music that is set in the circle of fifths, this is called a key signature. The numerical key signature of the ancients was the vehicle of the number square. They favored 7 primary number squares. This could equate with 7 key signatures. The simplest and first was 3 x 3. Their favored squares ranged from 3 x 3 to 9 x 9. They did use higher numeric squares. However, the basic 7 were most common. Sacred prayers in Judaism coded higher number squares. Two favored ones were 13 x 13 and 17 x 17. I have blogs on this subject on DSOworks.com. Some 10,000 years ago, and maybe further back in time, all numbers belonged to unified systems. They were also connected to words. For example, “order” could be 264. Each symbol of the ancients represented a letter and a number. There were no separate letters and numbers. Their unity called by a Greek name, gematria. Look it up online. At one time there was no randomness. You can sample ancient unity on the 3 x 3 number square picture below. Every number relates to the others in a meaningful way in the Neolithic times. Any two opposite numbers around the perimeter total 10. Examples are 4 + 6= 10 ; 9 + 1 = 10; etc. The average of any two opposite numbers around the perimeter is 5. Five is the core number. Each number contributes to a perimeter whose total around #5 equals 40. The total of all the numbers on the square is 45. . (That equals the sum of the numbers from 1 to 9). Each number is set so that any row of three totals 15. This is true vertically, horizontally or diagonally. The high level of organization of numbers in antiquity is staggering. Today, with our modern sciences, we totally lack such an organizing system for our numbers. I believe that result is social conflict. The genius of Arnold Schoenberg made a powerful musical statement as to where our culture was heading. Let us return to the way of the ancients. Reviving number squares is what many of my blogs are about. Enjoy the illuminating sample of the 12 tone technique below! Numerical Nature of Ancient Philosophy is Number Squares. There are three varied approaches to ancient mathematics. Today we will only examine “real numbers.” Categories 2 and 3 will be future blogs. Use of “Real numbers” being numbers 1 – 9. Synthetic numbers being 10, 110, 1110, 11110. Although she’s dressed up to the nines. My blog traces the history of “to the nines” to prehistoric times. Number squares were of prime importance. What set the concept and pattern of the number squares in motion was the smallest. It is referred to as the grain of mustard seed in the Bible. It uses the numbers one to nine. Nine becomes the maximum. Higher numbers are synthetic. For example: Ten is the total of any two opposite numbers around the perimeter of the featured picture. Examples are 9 + 1 or, 3 + 7. They combine two or more numbers in set patterns. Ten, in the distant past, did not exist as an independent number. In musical terms repeated patterns on different tones is called a sequence. They musically demonstrate a property we will study in number squares. The meaning of this ancient number square is revealed in the phrase Dressed to the nines. But the history of nines is much older than this defining quote. Perhaps some 10,000 years older. *”To the nines” is an English idiom meaning “to perfection” or “to the highest degree” or to dress “buoyantly and high class”. In modern English usage, the phrase most commonly appears as “dressed to the nines” or “dressed up to the nines”.The phrase “dressed to the nines” is just a specific application of the Scottish phrase “to the nine ” The earliest written evidence of this phrase appeared in the late 18th century in the poetry of Robert Burns. Its meaning is “to perfection; just right. Much more to come on the featured picture of the Grain of Mustard Seed and categories 2 and 3. Keep checking the blogs. Ancient Burial Sites Used the Perfect Fifth Ratio 3/2. Many Neolithic cultures placed the numbers of harmonious ratios of musical intervals into their buildings and environment. How can musical intervals possibly apply to burial sites? What was the purpose of seeking harmonious intervals for interment? Where and when did this happen? The ideal was the 3/2 ratio. Three parts yang to 2 parts yin. 3/2 defines the musical interval of a perfect fifth. The higher note vibrates 3 times; for 2 of the lower. The tradition characterizes ancient burial sites in China. I found what I thought was such a location in Wiki commons. It is pictured as the ALMATY, KAZAKHSTAN. See featured pictured above. The natural flow of yin yang was thought to be interrupted by railroad tracks. The interval between C and E is a major 3rd (major third). The interval between C and F is a perfect 4th (perfect fourth). The interval between C and G is a perfect 5th (perfect fifth). The interval between C and A is a major 6th (major sixth). The interval between C and B is a major 7th (major seventh). The interval between C and C is a perfect 8th (perfect octave). (1) Microbiotic cooking uses the 3/2 ratio for healing. It advocates 3 foods that grow above the ground in addition to 2 that grow under. (2) Chinese geomancers detect yang and yin currents. Yang is the blue dragon, Yin is the white tiger. Yang current takes the path over steep mountains. Yin mainly flows over chains of low hills. Most favored is where 2 streams meet surrounded by three parts yang and 2 parts yin. That was the spot where Chinese ancient burial sites were built. Chinese believed that proper burial of ancestors controlled the course of the surviving family’s fortune. Great dynasties are said to have arisen from proper placement of tombs. Also, the 1st action of a government facing rebellion was to destroy the family burial grounds of the revolutionary leaders. Twinkle, Twinkle Little Star incessantly uses the interval of the perfect fifth. So does Baa, Baa Black Sheep. Sing the first 4 notes of each. With both nursery rhymes, the interval between the 2nd and 3rd notes is a perfect fifth. You have your choice: (1) Sing the first four notes over and over, Or (2) simply and just sing the 2nd and 3rd notes over and over. Another choice is take piano lessons. Play Mozart. Musical Inversions Run Parallel to Platonic Solids. Two concepts must be understood. (1) Inversions of triads. (2) The regular polyhedron property called duality. 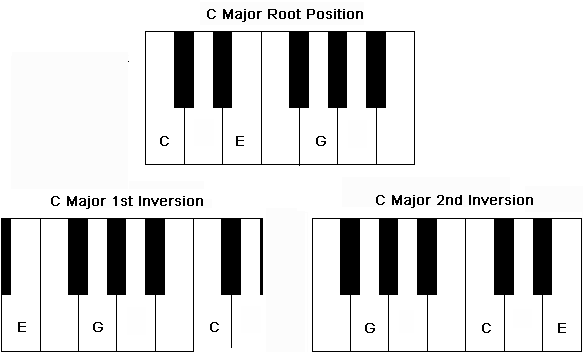 I will demonstrate musical inversions with the “C” major triad. For our purposes, every other note starting with “Middle “C” on the piano. That makes for C-E-G. These notes can be turned around, A.K.A. inverted. Then we have E-G-C and G-C-E. Musical inversions once more returns us to C-E-G. They look and even sound different. But they are still the same basic 3 tones. The Circle of Fifths Fits the properties of the 5 Platonic Solids Like a hand fits a glove. Now for the parallel property with the regular polyhedrons. First, we must look at a chart that defines their topological features. Note the octahedron-cube pair. The octahedron has 8 faces. The cube has 8 vertices. The octahedron has 6 vertices. The cube has 6 faces. Like musical inversion, the order changes from one to the next. We could also say the 2 geometrical figures are related like a musical inversion of the “C” triad. Look at the next pair: The icosahedron has 20 faces. The dodecahedron has 12 faces. Next: The icosahedron has 12 vertices. The dodecahedron has 20 vertices. Again we have a parallel to musical inversion. They may seem or look different. However, they simply re-arrange their topology but the same numbers. The octahedron can be drawn inside the cube with vertices centered on each face of the cube (picture below). The same applies to the pair of the pair of the icosahedron and dodecahedron (picture below). Again, they are as closely related as inversions of the basic musical triad. The grandest parallel between our music and the Platonic solids is found between the dodecahedron and our circle of fifths. Our circle of fifths has 12 basic key signatures (not counting enharmonic keys). Each one is located the distance of a musical fifth from the last one. The dodecahedron has 12 faces of pentagons (5 faces). You can superimpose the basic outline of the circle of fifths on a dodecahedron. Conclusion: over 2,500 years ago ancient civilizations thought of architecture as frozen music. Indeed, music and these 5 geometrical solids have strong parallels. To acquire the ability to gain such insights, I suggest musical instruction for our children. Plato said music should be mandatory study until the age of 30. Neolithic Number Eight Permeates the Great Pyramid of Egypt. Also the modern piano keyboard. Here’s how. First use of eight (8). The featured picture illustrates an octahedron. It is a symmetrical, eight-faced, triangulated figure. All angles at their corners are 60°. Bisect the featured picture across the square at the center. The bisected octahedron then becomes two square based pyramids. The above I call the positive. The below I call the negative. All square base pyramids imply an attached equal and opposite pyramid. The mere existence of any square base pyramid, implies a counterpart. Granted, the Great Pyramid of Egypt has differing angles. It uses isosceles triangles. But, the extra four reverse-faced pyramid is still implied. When they are joined, the square bases become internal. They literally disappear. There no longer is a separated square base. We have our first usage eight. As, 4 faces (postive) + 4 (negative) faces = 8. Each side of the square base measures 440 shorter Egyptian cubits. Shorter cubits are 1.718…feet. A more encompassing measure is the Great Cubit. It measures 55 shorter Egyptian cubits. Thus each side of the Great Pyramid of Egypt is 8 Great Cubits. 440⁄ 8 = 55. 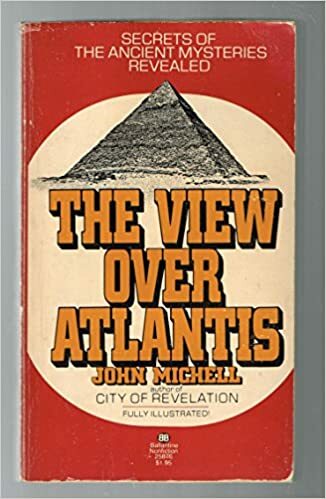 Reference John Michell, The View Over Atlantis. Therefore the Great Pyramid is 8 x 8 Great Cubits. Last, but not least. We will tie the Great Pyramid into concert note A-440 and its octaves. Its essential measures come from octaves of the concert note A 440. A higher octave doubles the vibrations per second. The lower octave cuts them in half. The lowest note on the 88-keyed piano is “A”. It vibrates 27.5 times per second. On the Steinway below, it is the furthest note to the left. 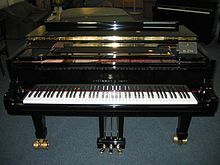 The note A, underneath Steinway’s name, vibrates 440/per second. The lowest note on the piano, also an “A” vibrates 27.5 /second. The length of any side of the square base on the pyramid is 440 cubits. Glamorous Returns for Dress and the Arts. 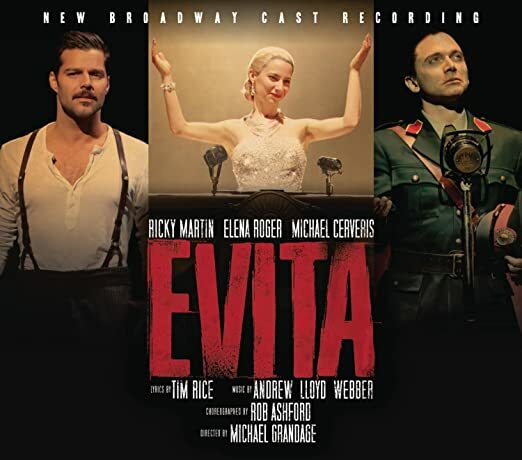 Even with the Great Depression, the 1930’s was the era of escapism and glamour in the arts. Hollywood starlets adorning billboards. It was also the golden age of of radio entertainment. I worked with David Rubinoff and His violin. He was featured on the Eddie Cantor radio program in the 1930’s. His music and style were glamour personified. Right to Left, Rubinoff and myself after a concert at Scott’s Oquaga Lake House in the Catskills. His fan club lasted his entire American career from 1911. At that time he lived with Victor Herbert who sponsored him and his family in the U.S. “Ruby” was close friends with Berlin. Glamorous returns with the beauty with ladies clothing styles. Simple classic, flowing lines. Nothing elaborate. You could almost say simplicity makes the style: Just as the lyrics of Irving Berlin declare in “Play a Simple Melody”. Yes, beautiful is back. Romanticism is back. J.S. Bach and counterpoint are back.- Both were popular in the Romantic era of Music.- Melody is back. Three cheers! How about the Berlin lyrics of A Pretty Girl is Like a Melody? Why do we need glamour now? First, it is not an overly expensive style. Unless, of course, you buy designer. The patterns use simple lines. For a competent sewer, that means less time spent on complicated lines and seams. When times are tough, as they are now, the last thing we need is the grundge look. Go to any major metropolis. With so many homeless, it is common to spot so many that have the look of hardship. It was even more commonplace in the early 1930’s. The depression originated in the United States, after a major fall in stock prices that began around September 4, 1929, and became worldwide news with the stock market crash of October 29, 1929 (known as Black Tuesday). Between 1929 and 1932, worldwide GDP fell by an estimated 15%. We need happy. We need melody. We need pretty girls. We need glamour once more. No more doldrums. As a teenager, I, David, was ousted from Rock and Roll central. I had an interview at Motown with Marvin Gaye. At the time I was giving Motown’s attorney’s children piano lessons. My compositions have always been melodic to the “nth” degree. Rhythm was in. Melody was okay, but quite secondary. Bottom line: Times are now difficult. The public needs beautiful once more. Kind of like the early 1930’s. Think of “Stardust.” It was the leader song that gave the 20’s rhythm songs their requiem. Here’s what most people do not realize: Rock and roll has outlasted the entire era of classical music. The heyday of classical style was 1750 to 1800. That is 50 years. This included Mozart, Haydn and early Beethoven. Above is a picture of Chuck Berry. It is dated 1957. That is 60 years ago. The only thing for sure is change. I unhumbly state: “Watch for my music. I intend to be at the forefront of the new style with new and beautiful music. This is not only as a piano player, but as a composer”. My wife, Sharon Lesley Ohrenstein is the book writer and lyricist. Shortly, our new musical “Golden Roads” will be making an appearance. In this free youtube presentation Sharon is singing and being interviewed. I am at the piano. In the meanwhile you can hear me play on vintage Steinways at the Gasparilla Inn on the exotic isle of Boca Grande. This is my 8th season. I’m under contract until April 16. Watch this short interview and excerpt from Golden Roads. Enjoy the new sound we are presenting and get on the bandwagon. There’s room for everybody.